Take Credit Card Payments in Person! It's as easy as plugging this little piece in your phone! Are you trying to change the way you do business? Well I found one tool that can really help the independent business owner - one that would have been previously unavailable to 'the likes of us' before this age of technology. 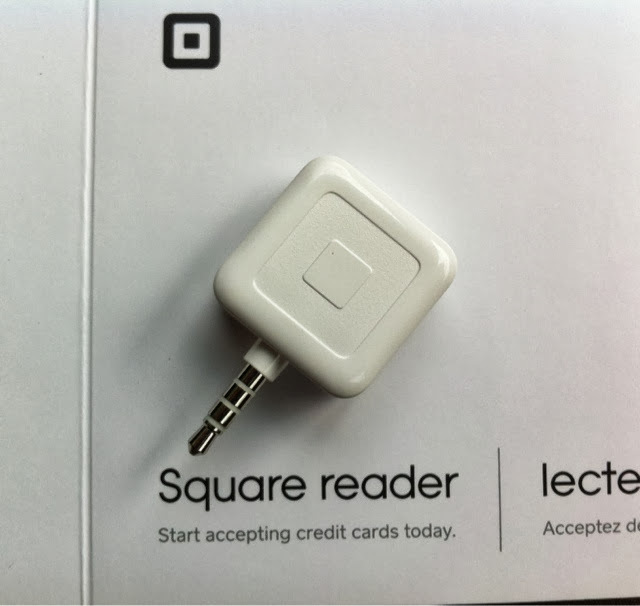 It's called Square Register. Definitely read more by hitting the link below! It's as easy as having a compatible smartphone and Square Register's application and card reader - which they will send to you completely free after opening a free account! In about two weeks time from reading this, you could be ready to take credit card payments from your customer's wherever you are - your phone becomes your point of sale. It originally appeared that there was another option to me; PayPal Here, however it is not available in much of Canada from what I gather, however Square Register is - and has been used by many of the vendors I've met at the Kelowna Farmer Market. I got it for this reason - the Farmer Market - if someone really likes one of your pieces of artwork, but is severely limited by the amount of cash they have in their pocket since they were only out to buy a couple peaches, cherries, apples, or grapes - they shouldn't have to walk away, leaving you sad, and leaving them sad. They take a fixed percentage of every transaction which is pretty reasonable considering it's on par with PayPal who I have been using for web-based interactions for the last several years. Not to mention, the money is transferred to your linked bank account within 24 hours in all cases, and sometimes more like 12. Enjoy and I hope Square Register can help you out!